I recently finished a project that I’ll be sharing soon, and as I was doing a debrief of it in my mind, one of the things I decided was that it fell into that category of “better suited for stable knits.” I find myself declaring that often — this or that pattern is best for stable knits. Even if a pattern wasn’t necessarily designed for stables, if it’s fairly fitted, personally I’d want something a bit less clingy. And in light of my penchant for using knits on patterns designed for wovens, fuhgeddaboudit — definitely stable knit territory. For more on what defines a stable knit, Tasia has a great post here. But here’s the rub: I have a weakness for those rayon or mostly-rayon knits that aren’t so stable. The way they feel, the gorgeous prints, the beautiful drape, the way they feel, the light-as-air breathability, the way they feeeeeeel…. yummy. But it seems like I typically pull out patterns to make that lend themselves to something more stable. So, I went on an electronic search through my patterns to find some suitable matches for this growing population in my stash. 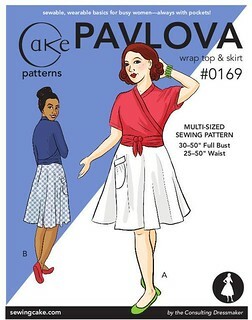 The Pavlova top would work great, wouldn’t it? I’ve seen this made up in all kinds of fabrics, and it seems that because of the wrapping and tying, the unstable ones may even work better. At minimum, wouldn’t the design be an easy solution for poor recovery (i.e., just retie them a little tighter)? I admit that I wasn’t an early adopter of this pattern — it’s the only Cake release that I’ve been lukewarm about. Actually lukewarm isn’t accurate; I liked it quite a bit, but it was the length that concerned me… I’m not a short-top wearer. Of course it would be possible to modify that, but being inherently lazy unsure about figuring out such things, it wasn’t until I saw this post about lengthening it that I pulled the trigger on buying it. Flowy cardigans like this are spot-on for drapey knits. I have several patterns for them, each with slightly different details, but this Jalie 2919 is one of my faves. It has cute tucks running from the shoulder seam to the waist — but as much as I love them, I might turn them into gathers. The thought of making pintucks out of a rayon knit is…well… I want the knit unstable, not me. Do you have any good pattern recommendations for drapey knits? Like ’em? Hate ’em? They sure take more fiddling and time to construct, but I think it’s so worth it! Sometimes. You know, I still have a lot of that fabric from that Taffy make, I may very well redo it in the exact same print. ;) And you’re totally right about the Tira! I was thinking about whether to do a version with a drapey fabric for just the skirt, but you’re right, it wouldn’t be bad on the bodice either…. Oooh, that ponte would be awesome for the midriff! I don’t have any leads for you, but I do suffer from exactly the same problem. I’ve got three 2-yard lengths of an Ella Moss knit (same print, three colorways – I loved it that much) that is much drapier than I was expecting. I have absolutely no idea how to use it now – it’s completely inappropriate for the pattern I intended it for. Three colorways? Wow… Ok, now I need a link to this print. :) Were all three planned for the same project?? Love the Taffy on you, great job! The clinginess that bugs you does not convey in the pictures. I do love the drapey rayon knits also, and I have a couple tops that *some days* cling too much for my comfort, so i know what you mean. On those days, I wear a silky, slightly snug cami underneath the clingy top. Makes me feel a little more put together. But seriously, seeing your Taffy reminds me I’ve been meaning to make one!! Thanks Andrea! The cami is a good idea, especially for the less-hot months… I may not be willing to add a layer here in TX during the summer! ;) The Taffy is a great pattern for sure! well i’m no good for drapey knit pattern suggestions, but that jalie cardigan is quite fantastic though! i made one a year a go (actually i was going to use mmm’13 as an excuse to finally blog it…) and it’s perfect for the drapey fabrics. and i did gathers. there was no way i was going to stitch those ridiculous pleats! Oooh, I’m glad to hear you’ve made that cardigan with the gathers… I would love to see it! Yeah, I fell in love with that Vogue pattern right away, I can’t believe I haven’t made it yet. I just took at look at hotpatterns and they definitely have some contenders — I don’t know why I haven’t really checked them out before, thanks for the tip! Love the drape on the Taffy! 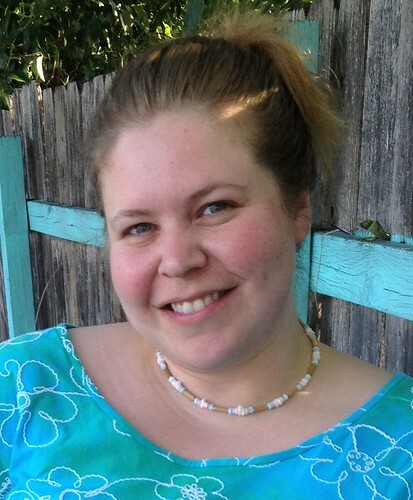 I totally need to make Taffy in a rayon jersey… totally going to steal your idea! :) How about using Scout in a drapey jersey? Steal away! That Scout idea is *very* interesting… Hmmm…. That could work! 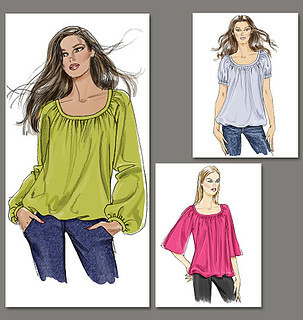 Nice top – I like the look and feel of the softer rayon but it doesn’t like me unfortunately. That’s funny because I actually do have several KS patterns, but the designs I have were some of the first that jumped to my mind for stables. I’ll have to check out their inventory again with a different eye! I love those types of knits also and gravitate toward wrap styles or tops with some ruching. It is a great way to use a light knit. Definitely. 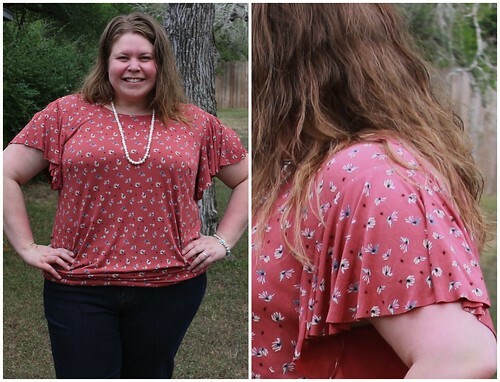 Oooh, the ruching styles — you know, I think I was discounting those because they’re usually fitted, but you’re right — the scrunched up fabric works as “camouflage” just like the wrapping does! “I want the knit unstable, not me” made me laugh out loud…I know that feeling. You absolutely have to make that Vogue top now…it will be gorgeous. I too love the feel of the drapey knits but don’t love what they do to my figure. Sigh! :D Yes, even thinking about creating those pintucks makes my eye twitch!! Vogue top coming right up! Like you, I love drapey knits! Not just the feel, which is wonderful, but also that so many of them have beautiful colors and pattersn. You’re right, though, one needs the right pattern. I make a lot of maxi dresses, which work really well and let me use some of my, yes, growing population in my stash! I like your idea of rotating the dart to the hem but what about making side vents instead of elastic? That would allow the fabric to drape and release itself. The sleeves are just tooo wonderfully feminine! My other thought was trying a knit lining, I have used them in the past for clients who wanted more modesty but the extra layer might prevent the clinging that you want to avoid…anything is worth a try once. 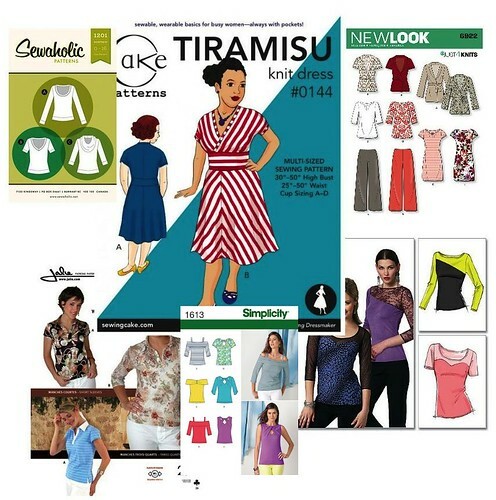 Rayon knits can give us fits! Side vents are a really good idea… I’ll likely try that, because I don’t want all of my shirts to have the hem band or elastic at the bottom! I actually thought about lining as well, but my concern is making the garment too warm… I wonder if I could find something really light/breathable? The Taffy looks absolutely lovely! I like the really drape-y Japanese designs in these soft clingy knits; they are perfect for this type of fabric. Designs like those from the drape drape series. You’re so right, those designs often have a ton of ease and would work great!